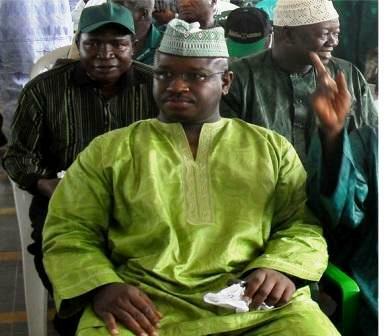 Sierra Leone’s main opposition party – the Sierra Leone Peoples Party (SLPP), came close to annihilating itself last year, following its defeat at the polls in 2012 and the leadership battle that enraged within its senior rank. The argument and rancour which erupted, went far beyond the mundane question of party administration. It was about representation, decision making, the control of power and executive accountability. But for many – in and outside of the party, it was a fight between two party giants – the former presidential candidate – Julius Maada Bio (Photo), who had lost the 2012 presidential election and the party’s former chairman – John Benjamin, as to who was in charge of the party. And despite the party’s national convention held in Bo to elect new executives after the 2012 general elections – including the role of chairman, the rancour continued, threatening to destroy the party. Given its constitutional mandate, the country’s commission responsible for oversight of political parties – the Political Party Registration Commission (PPRC), had to step in to mediate. The PPRC conducted its investigations into the party’s afflictions and produced a report with recommendations – going forward. I have carefully perused the Report. I believe that its recommendations constitute a good platform for advancing reconciliation in our Party. Given this, it is absolutely necessary that we present factual and accurate interpretations of the events leading to the Convention in Bo in August 2013. I note with dismay that the Report traced the genesis of our current problem to a post-2012 general election Resolution of the National Executive Council (NEC) that empowered me, in light of our Party’s then pending election petition before the Supreme Court, to continue to play a leadership role in the Party until the August 2013 Convention. I think the Commission would have gained enormously from additional information if I was given the opportunity to be heard. The fundamental principle of natural justice “audi alteram partem”, meaning a person shall not be condemned without being heard, seems to have been completely ignored. Whilst I recognize that I was not a party to the petition before the Commission, yet a whole section of the Commission’s Report, “The Origin of the Conflict”, was supposedly devoted to me, casting many aspersions against my person without affording me an opportunity to be heard. By the Party’s Constitution, following the 2012 election, I became an ex-officio member of the NEC. Looking again at the NEC Resolution of 2013, it seems to me that, that body was merely trying to give meaning and substance to that ex-officio status that the Constitution bestows on me, bearing in mind also that immediately following the general elections the Party had filed an election petition in the Courts. In my opinion, there was no reasonable justification for all the dust and controversy it raised. It added neither power nor authority to me nor removed any power or authority from the then National Chairman and Leader. The Resolution was quite simply the product of long and exhaustive deliberations by the NEC, the second highest administrative organ of the Party, meeting under the chairmanship of the former National Chairman and Leader. That Resolution was quite simply not my creation. 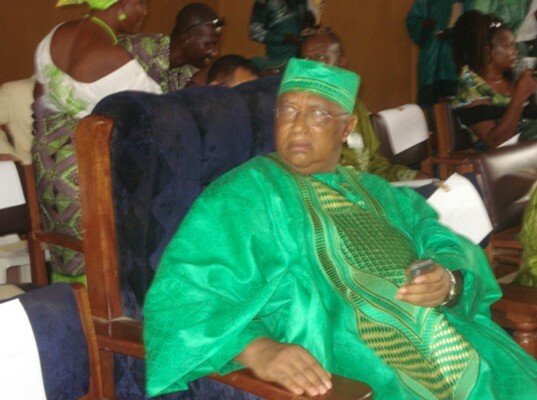 As the immediate past Flag Bearer of the SLPP, coupled with the grievances felt by the rank and file of our Party about their stolen electoral victory, they continue to give me their sympathy and respect. In all humility, this in the main is what accounts for the huge popularity I continue to enjoy in the Party. The NEC Resolution therefore, to which the PPRC took umbrage, was merely a confirmation of it; it did not create it. Nor did it block any other possible contestant for the leadership of our Party. I believe in democracy and am always prepared to be challenged as I have so amply demonstrated in previous national conferences within the Party. Once again, I deeply appreciate the efforts of the PPRC to restore peace and tranquillity to our Great Party and I hereby promise to co-operate with all the institutions of democracy in our country. By the same token, I want to call upon all my supporters to adhere to the recommendations in the Commission’s Report for the restoration of peace and harmony to our Great Party. I wish also to use this opportunity to reaffirm my commitment to the PPRC recommended reconciliation process and any other initiative on reconciliation which aims to restore peace, harmony and unity within our Great Party. Koroma mending political bridges – or looking for a way out? What hope for a better Sierra Leone?